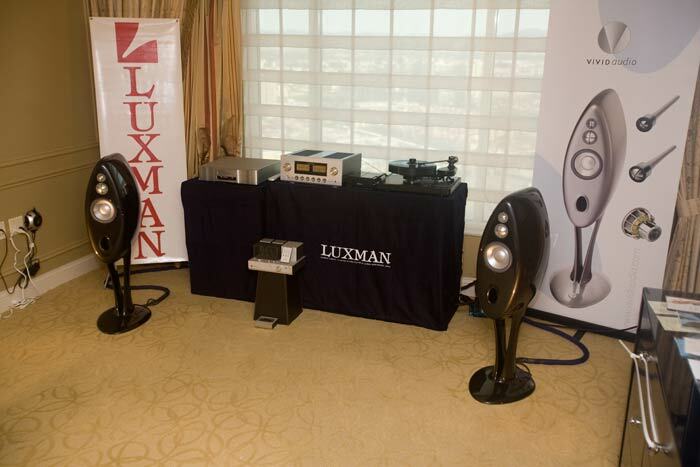 This room featured the Vivid Audio B1 speakers driven by a Luxman integrated and a Brinkmann Bardo turntable. 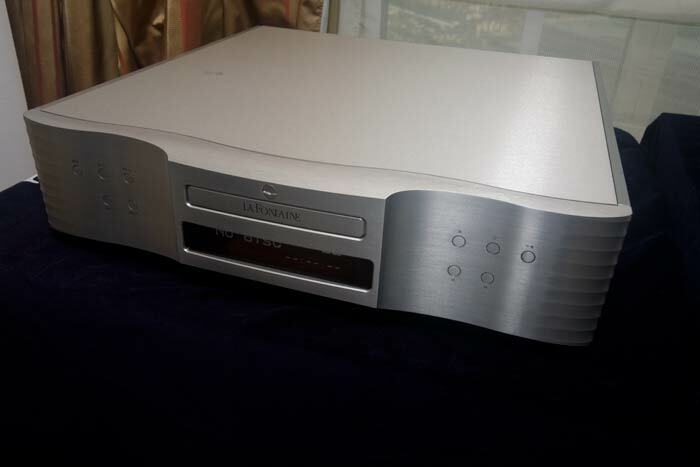 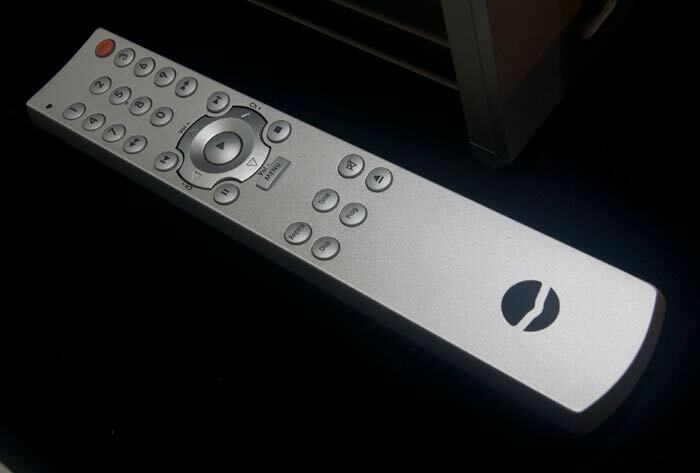 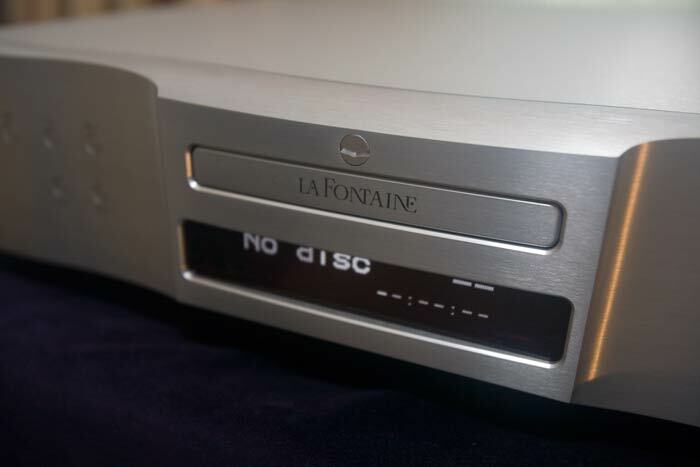 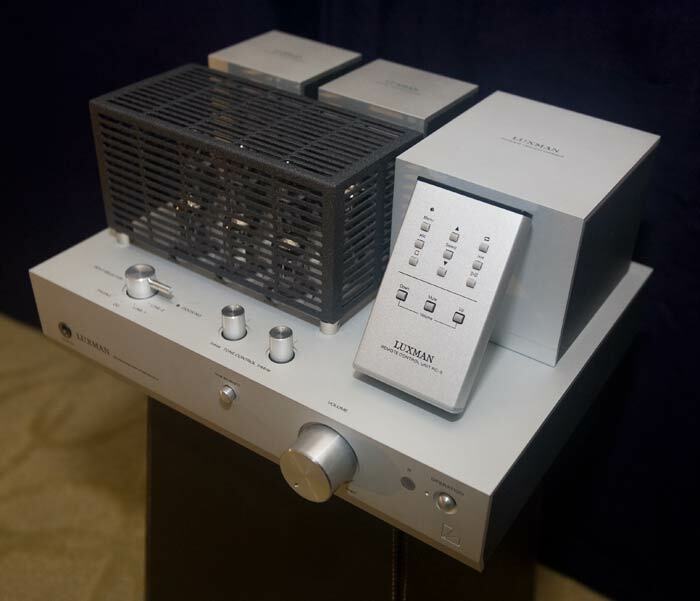 I did not get to hear the new Audio Aero La Fontaine CD / SACD player. 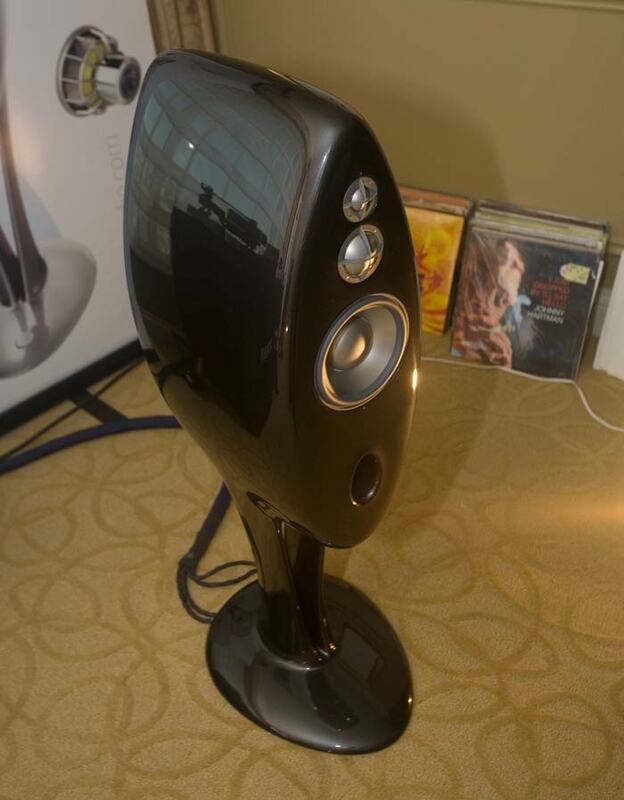 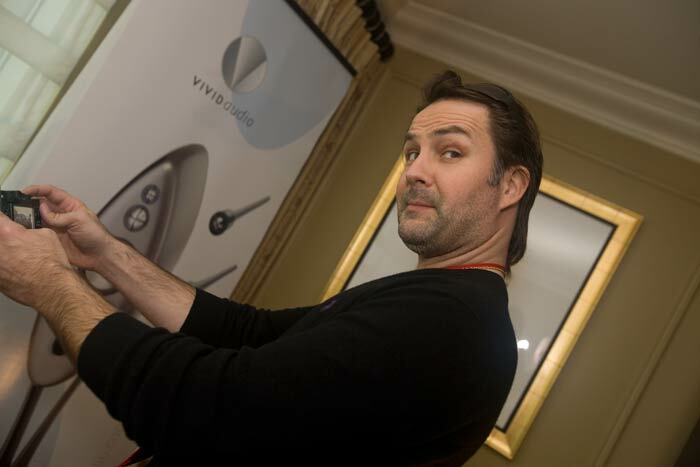 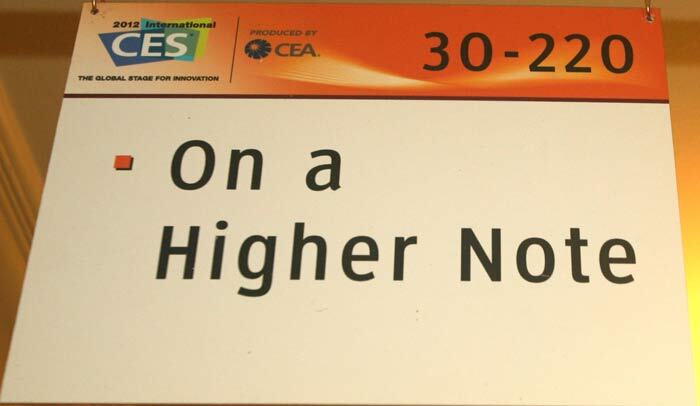 I like the Vivid speakers, the can sound very energetic, integrated and with lots of separation. 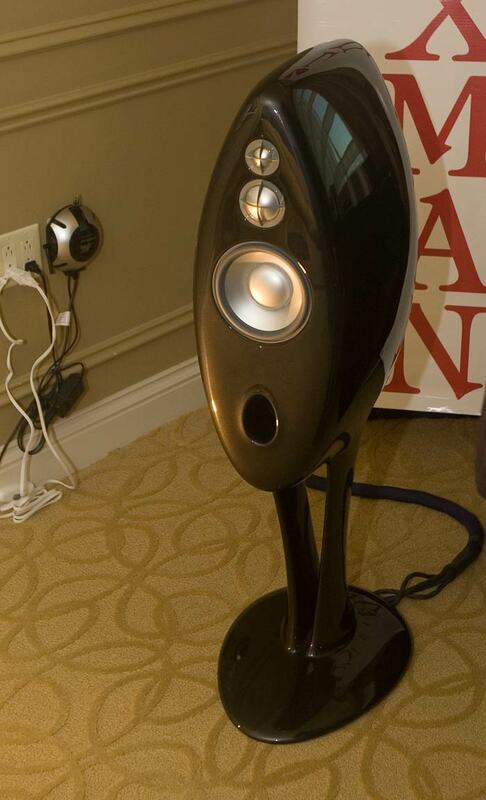 However with this system, which we’ve heard variations of several times, the sound is muddy and dull, and not to my taste. 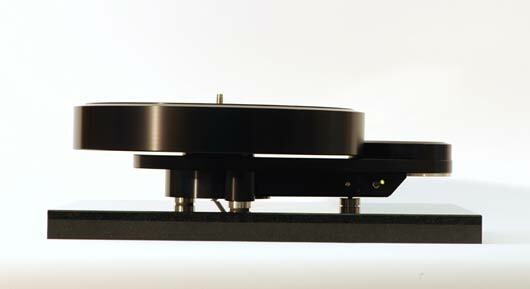 The Brinkmann Bardo turntable from the side / below. 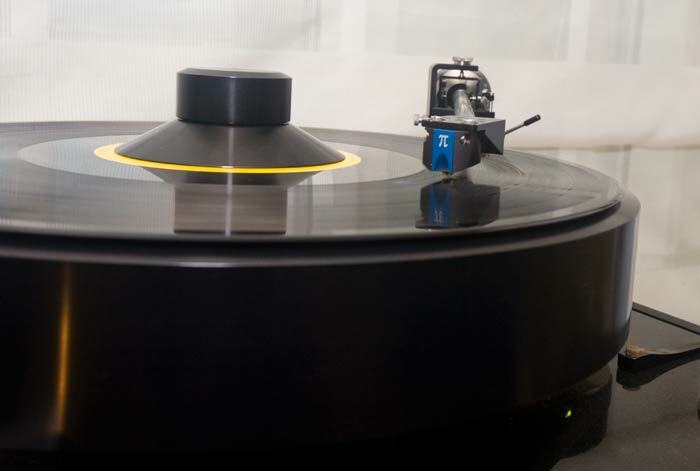 You can easily see the feet and spindle. 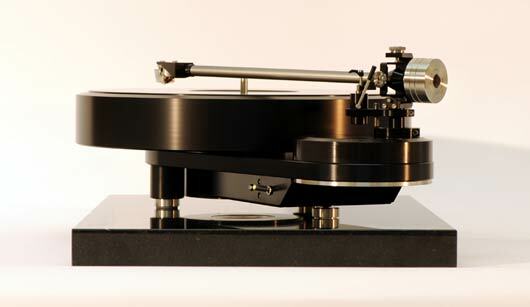 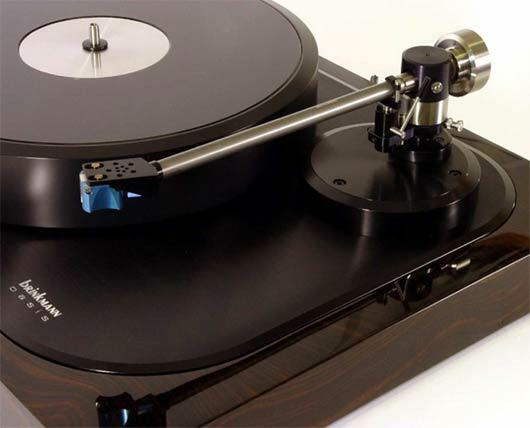 The new Pi MC cartridge seen here mounted in the new 9.6 tonearm on a gorgeous Oasis with a makssar (ebony) plinth. 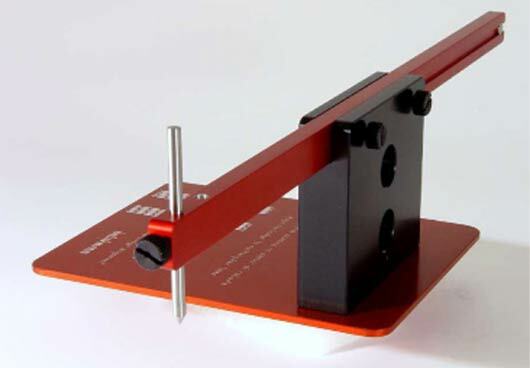 On the Pi Helmut Brinkmann chose a microridge stylus, which has the best resolution in fine recorded detail, while offering proven reliability. 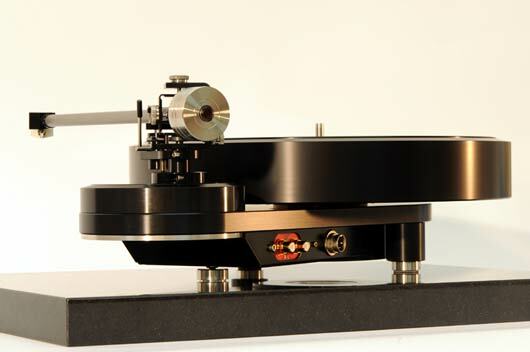 The stylus is mounted on a boron cantilever which in turn drives a copper voice coil. 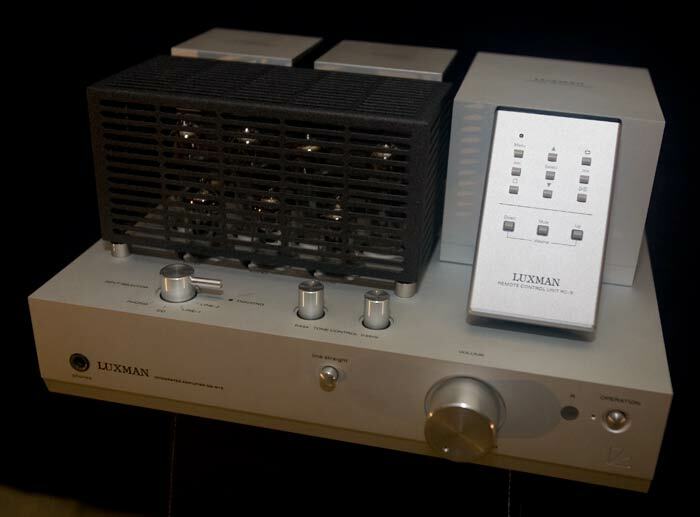 The utmost attention was given to the rigidity of the magnetic circuit to prevent eddy currents which would corrupt the low level output signal. 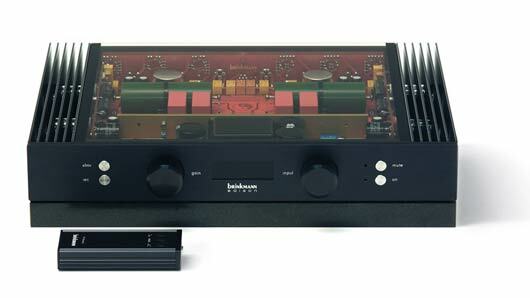 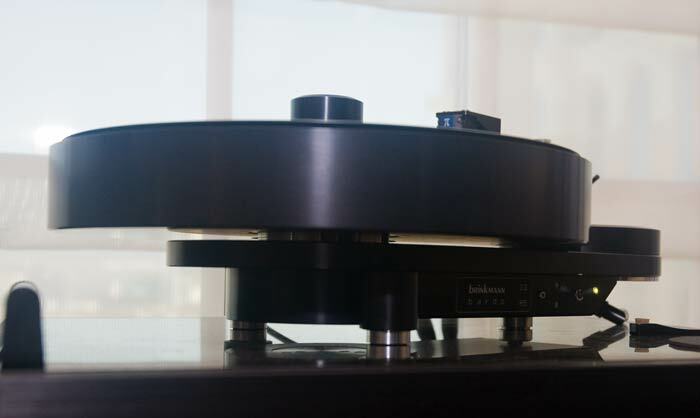 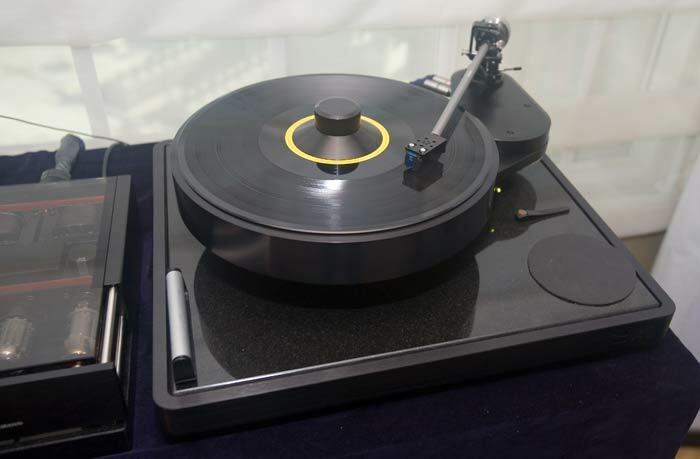 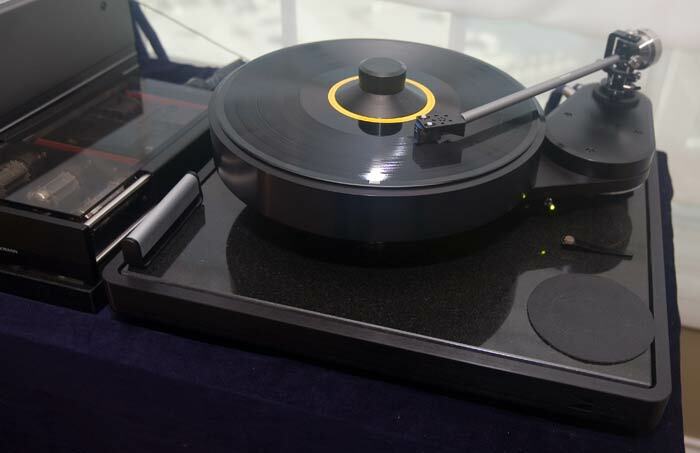 The new Brinkmann Bardo is the most affordable turntable from Brinkmann and goes for around $8K. 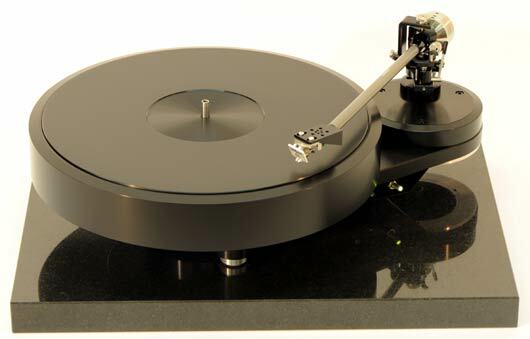 At this time it looks like the granite slab will come with the table.